traditional lighting displays into interactive experiences. Turn your garden into a large scale interactive lighting experience easily. Use Aurora's powerful music to lighting mapping engine to generate the effects in real-time. No lighting expertise needed! Attract attention with the magic of Aurora™. Aurora™ has been installed in trees in a number of cities across North America to help revitalize spaces and increase foot traffic. Wow your clients with the immersive & interactive experience of an Aurora™ Canopy. Perfect for parties, outdoor festivals, houses of worship, night clubs and casinos. Bring innovation to your next event with our mapped 3D volumetric LED displays. Great for attracting attention and amplifying your social media reach. Perfect for clubs, innovative architectural spaces and eye popping events. For a custom experience have your own hashtags drive the lighting design! Public spaces are seeking new ways to connect people in an increasingly digital world. Choose sophisticated interactive lighting that engages audiences and positions you as an innovator. Spark deeper connections with a “heads-up” social platform. Encourage audiences to create lasting memories with their voices, motions, and social media interactions. Increase visitor turnout and keep audiences coming back for more. Avoid unnecessary costs and steep learning curves. Nobody should have to hire programming experts to create memorable experiences. 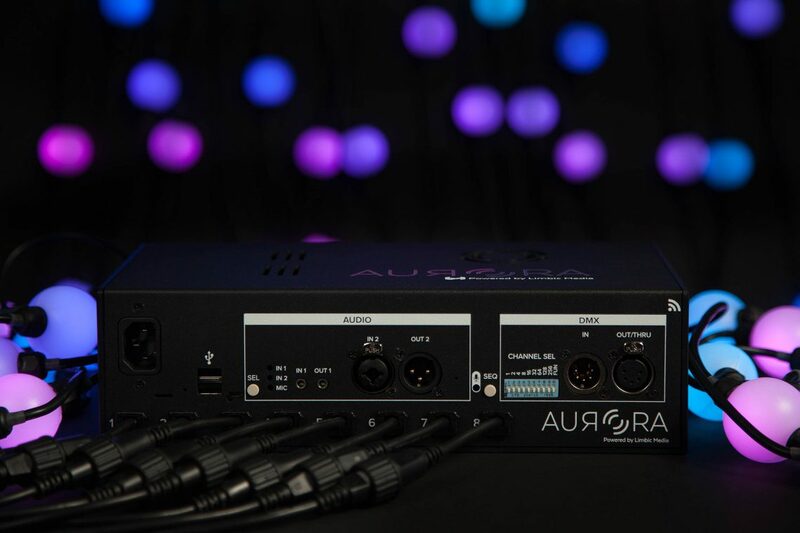 Aurora Pro creates interactive lighting out-of-the-box. Easily customize lighting effects using the Aurora App. Reconfigure the platform to reinvent displays year after year. Contact our sales team today to schedule a demo. We've worked with some pretty great people. A variety of light fixtures available including large globes, 360 lights, tubes. Expand to industry standard fixtures using DMX.